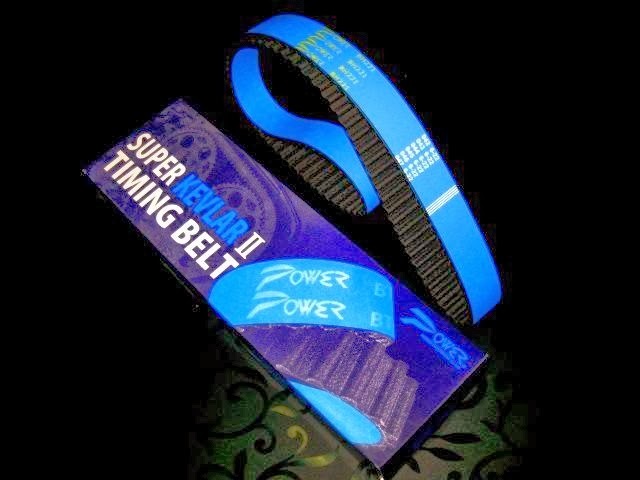 Super Kevlar 2 power timing belt. The pioneer of Kevlar timing belt. The original Kevlar timing belt developped by POWER featured 4-times durable against stretching compared to the stock belts. The new Kevlar Timing Belt features increased in haeat resistance, improved in bending flexibility .